Valentine’s Day is just around the corner, and JumpStart Toys wants to make Valentine’s Day 2014 happy, healthy and affordable for kids and adults. It is a big day for children as they learn to express their affection and friendship to others and receive it in return. View our Top 10 tips and gift ideas for children to make this holiday affordable and fun. Trade Candy for Small Gifts – Give the child in your life a small, inexpensive gift instead of sweets for a healthier treat. Consider a sticker pad, coloring book or movie gift certificate instead. Reduce or Eliminate the Sugar – Substitute sugar-free or natural treats for those laden with corn syrup, artificial dyes and sugars and reduce the quantity given. Give A Teddy Bear – Not original enough for you? Name one person who does not fondly remember a special bear stuffed animal or a person who gave them a teddy bear in their life. 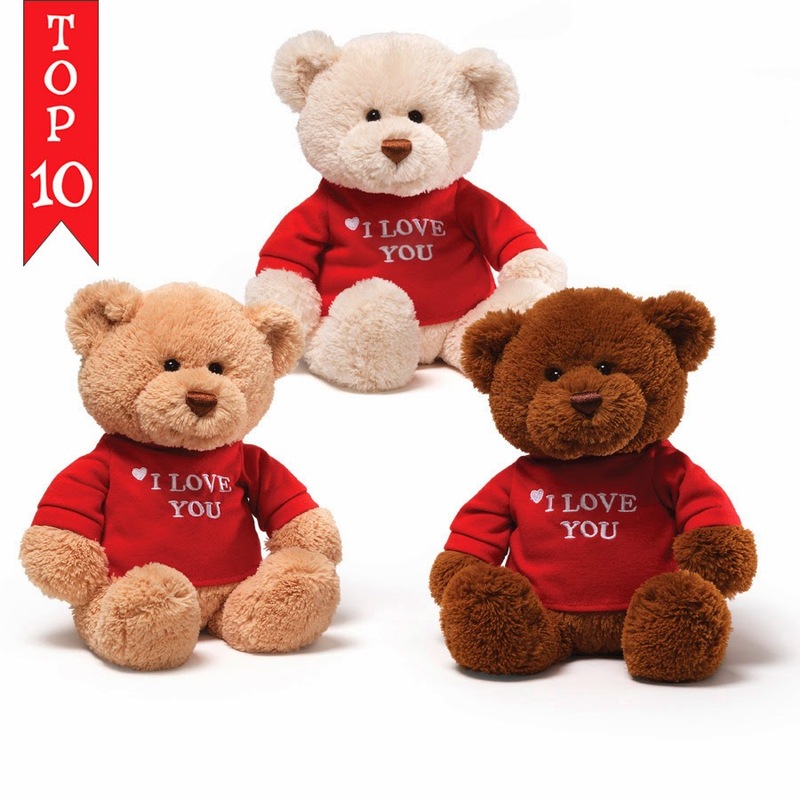 Gund bears are affordable and of high quality, bringing extra value for the dollars spent. Some Folkmanis puppets double as stuffed animals as well. Cuddle Toys for Valentine’s Day Gifts for Babies – Give a baby snuggle toy to the little one in your life. It’s never too soon to offer comfort and love to babies! Douglas snugglers, sshlumpies, plush toys and soft dolls make great gifts for babies. Start a tradition – Holidays are for making memories and building bonds with kids. Choose an activity you both enjoy and make it a point to do it every year together. Try a heart theme – For more unique gifts, try craft kits for kids that include heart shapes or that tie into a particular interest for a child. Talk to children while they make the craft to share some special time together. Go with a color theme – Valentine’s Day gifts for tweens and teens can be challenging. Choose a red, pink or white item of interest and go with it. Better yet, take them shopping and let them pick it out! Stick with Fashion – Valentine’s Day ideas for girls that are fashion-focused are a sure way to win her heart this holiday. Go for the bling and duct tape items that are so popular. We like The Orb Factory’s Funky Notes Notebook and Imaginista Tape Style for bling and fashion for girls. Race Cars for Boys and Girls – Finding a good Valentine’s Day gift for boys ages 8 and older is tough, but the Soda Geyser Car is a good option because it combines fun, racing and science into one. Even better, it's an activity both girls and boys can enjoy for some family fun on this special day. Find a parking lot and watch this car go! To view more Valentine's Day Gifts for Kids, visit our website. View our special offer, available for a limited time on our home page at www.jumpstarttoys.com.